In the world of business, a number of miscellaneous expenses can come up on a day-to-day basis. Instead of issuing a purchase order to buy these items, many businesses use a petty cash fund. A petty cash fund is an amount of cash that a business uses to make small, miscellaneous purchases. A petty cash transaction is one in which an employee or business owner takes money out of the petty cash fund for the purpose of buying something for the business. When an individual takes money out of the petty cash fund, he notes it in the petty cash ledger. The purchase can then be made for the business and any money left over can be taken back to the petty cash fund. 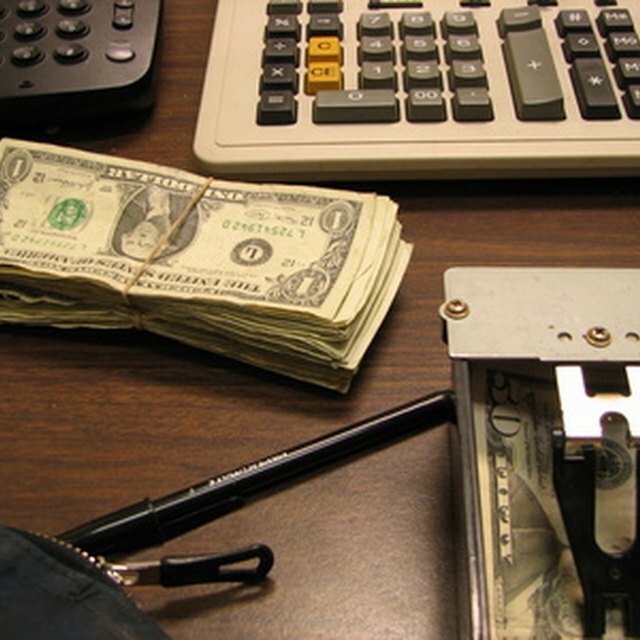 Petty cash funds are often created by a business owner simply writing a business check to cash. Money in a petty cash fund can be used for many purposes in the regular operations of a business. For instance, most businesses need to buy random supplies such as postage stamps, envelopes, paper or pens. Some offices use petty cash money to pay for occasional office lunches, parking fees or other expenses that come up throughout the day. The owner of the business or the manager of the department typically sets the standards for what the money can be used for. Having an amount of cash available to employees requires some oversight to make sure that the fund is not abused. Typically a custodian is put in charge of the petty cash fund. Then when someone wants to use part of the money, he must fill out a voucher or some other form requesting the disbursement. After making the purchase, the individual must also return the receipt for the transaction to the custodian of the petty cash fund. This way, the custodian can track exactly where all of the money is going. The primary purpose of creating a petty cash fund is to save time and effort. Without a petty cash fund, the person in charge of writing business checks would ultimately have to write many checks throughout the course of operations. Instead of doing that, the individual can write a check to cash periodically and then allow the custodian to oversee this amount of cash. It cuts down on the amount of work involved and results in fewer transactions.